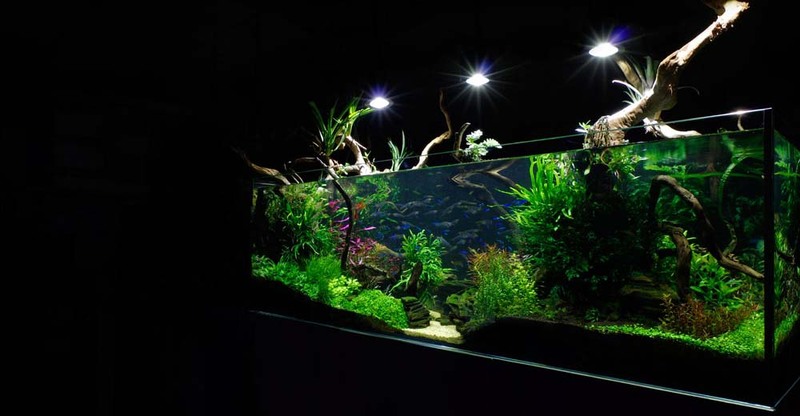 With over 30 years in the business and nationwide coverage we are one of the foremost aquarium and fish tank maintenance companies in London and the UK. 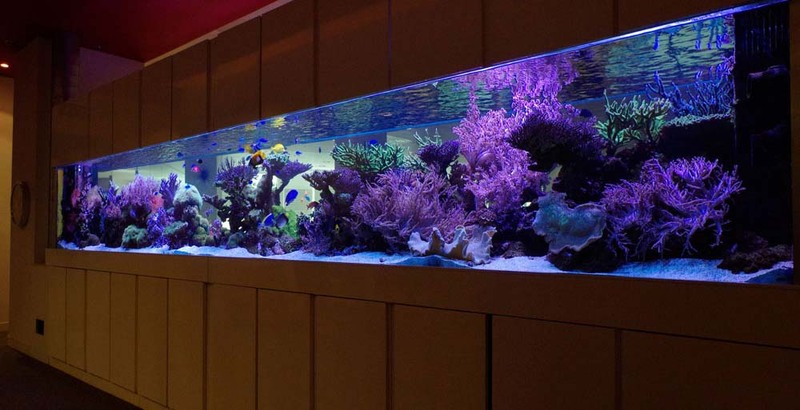 It is also the reason that some of the most prestigious and famous companies in the world employ us to maintain their fish tanks, from hotels, restaurants, stores, airports, cosmetics counters, private residences, offices and headquarters. We have earned a reputation for reliability and unparalleled service. 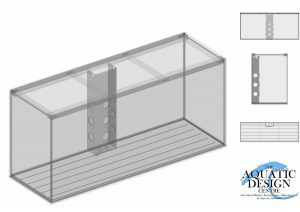 Our dedicated team of engineers, experts and back-office support help to maintain and look after your aquaria, whether it be freshwater, marine, coral reef system. 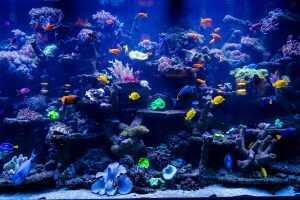 All staff are employed by the Aquatic Design Centre and you have access to the most experienced aquarium experts in the country. This way we are able to maintain high standards and ensure we provide an economic and valuable service to our customers. 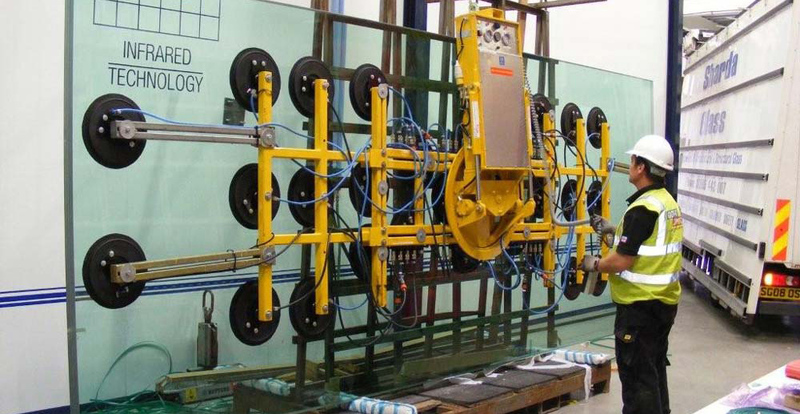 We offer nationwide maintenance services and can also manage contracts overseas, currently helping businesses in North America, Europe and the Middle East. 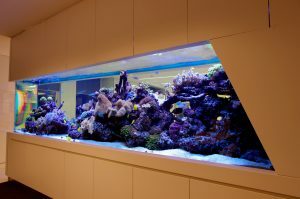 There are over 1500 fish tanks and aquaria maintained by us. 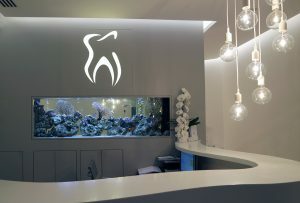 Our central London Aquatic shop and store enable us to supply accessories and equipment for any job we are working on. We source high quality livestock bred for better health and have our own coral farm to supply healthy corals without damage to the environment. Our 24 hour emergency service is also back up with our workshops and retail centre, which holds all the supplies and equipment to resolve any problem quickly. Due to the large number of customers we serve, it enables us to offer unbeatable prices for a full service. 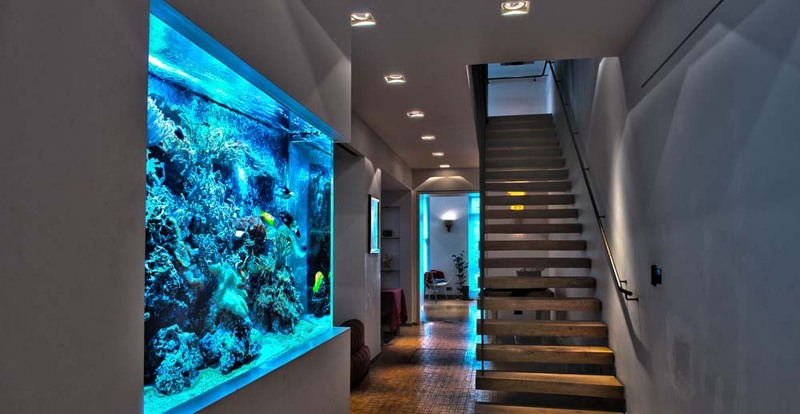 Please Call our London Office on (+44)20 7636 6388 to speak to our experts and discuss your aquarium or pond maintenance requirements or obtain a quote: Maintenance Consultations. 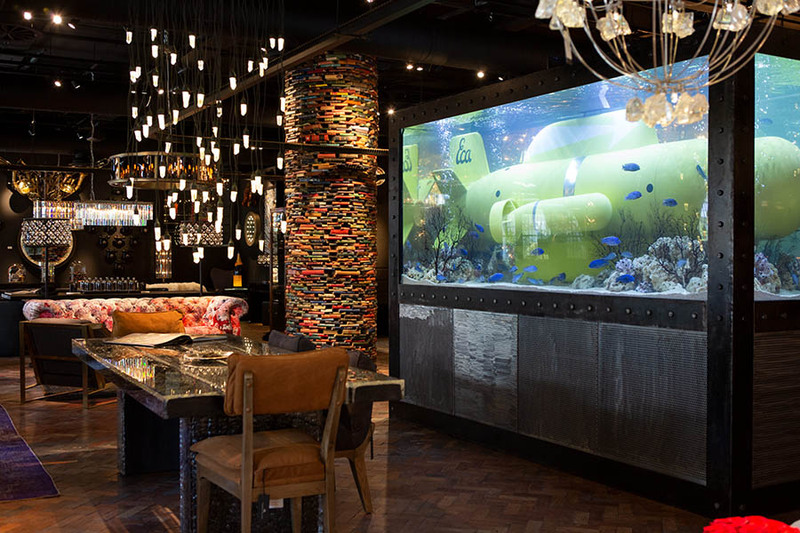 We completed this aquarium installation in September 2018 for the grand opening of Timothy Oulton’s worldwide flagship gallery – Bluebird. A massive 3500 litre African Cichlid Tank complete with a bespoken yellow submarine art piece. “On 1 September 2018, we opened the doors to our worldwide flagship gallery in the historic Bluebird Garage in Chelsea, London. Featuring the largest display of our collections anywhere in the world, the gallery is a manifesto expression of everything we stand for: heritage, innovation, creativity and hospitality. Located on the famous King’s Road, Bluebird was originally a celebrated Art Deco motor garage and enjoyed connections with legendary innovator, racing driver and record breaker Sir Malcolm Campbell. It has since born witness to much of London’s rich legacy of innovation, modern culture and design, making it the perfect home for Timothy Oulton. Discover our most iconic designs alongside the Noble Souls collection, Bespoke bags, and rare vintage collectibles. And if you’re an interior designer, we have a dedicated trade specialist on hand. You can visit Timothy Oulton Bluebird at 350 King’s Road, Chelsea, London. 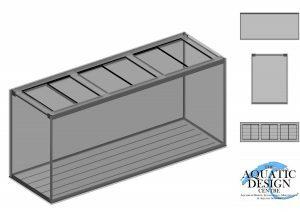 Do you have a project in mind or need advice? Our design team are here to help. Book a consultation today.